As any girl will tell you; as any girl's mother will tell you; as any girl's grandmother - it has to be early in spring. How to play the game, and when, descends as a tradition from generation to generation. Where to play is never a problem. We used to play this a lot when we were kids in the 1960s. 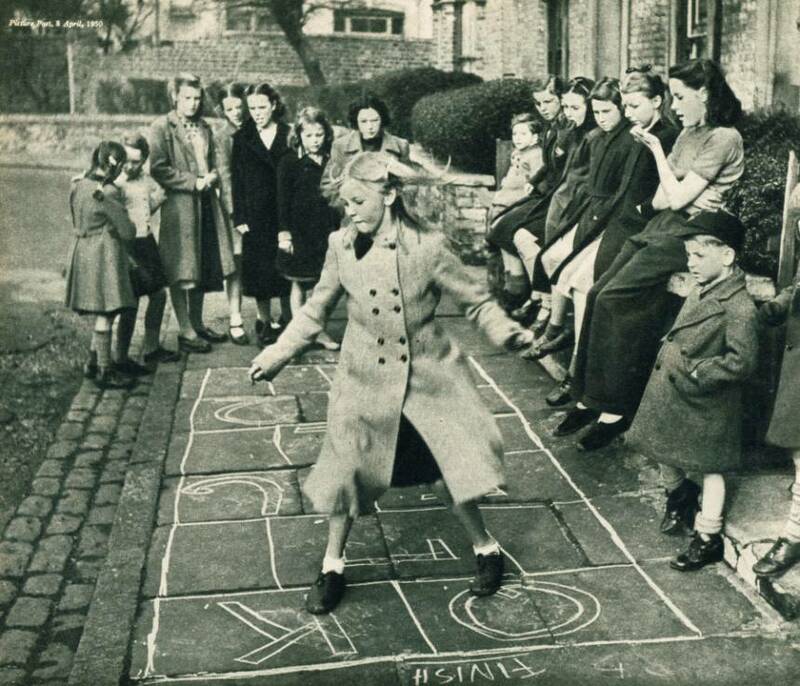 As I recall the playground at school had a grid marked out, but we also used to mark them out with chalk on the pavement as in the photo. Although it was mainly a girls game, sometimes the boys would join in (probably while they were waiting for someone to bring a football out)!